Discussion in 'Adventure Sworn Bushcraft Co.' started by Mr.LCV, Feb 24, 2015. Lumpskie, rcwells, beacon and 8 others like this. Lumpskie, godshippy, ARPILOT and 12 others like this. Came in a week ago finally got to put her to use! Swadehead, Lumpskie, beacon and 8 others like this. Came home from a 4day camping trip to find my knife waiting in the mailbox. Thanks AS for a beautiful knife!! Swadehead, Lumpskie, beacon and 9 others like this. Twins? My Mountaineer is your Classic's twin. Swadehead, Lumpskie, Tech and 6 others like this. Here are a couple pics of my walnut AS Classic. Swadehead, Lumpskie, Tech and 8 others like this. Very nice looking Classic. The walnut handles are beautiful. lucky67 and facon like this. Swadehead, Lumpskie, Deji and 7 others like this. Swadehead, Lumpskie, Tech and 2 others like this. Someone buy this Snakewood and Moonglow Classic and save me from myself. Whew, it is gone. This makes me sad and happy. This classic is a thing of beauty. I always find my way back to the classic from time to time. Swadehead, Lumpskie, beacon and 3 others like this. mauiarcher and Kyle363 like this. Another shot with sheath by one tree leather and matching after market replaceable firesteel. blue333, beacon, Lumpskie and 7 others like this. Swadehead, Aaron600rr and beacon like this. Swadehead, Odd Fellow, rcwells and 5 others like this. also on the convex bandwagon as of late (not just for classic). After fondling a convex explorer and my guide recently (waiting on my explorer and huntsman convex 3v) I don't see much benefit for scandi grind anymore. AS convex is so potent and offers incredible bite in wood, there is only nominal advantage for such in scandi grind. Convex does just about everything else better and the edge is easier to maintain IMO. So long as convex is tough (3v) and comparable to AS geometry, I might no longer have a need for additional scandi. I will have a couple convex custom explorers for sale when my customs arrive. mauiarcher and M.Hatfield like this. This is what I found to be very true. I've had plenty of bad convex blades before which is why I went the scandi route. However when I got my convex huntsman from @Aaron600rr that blade made me change my mind about convex grinds. I've slowly transitioned away from scandi except for a few. 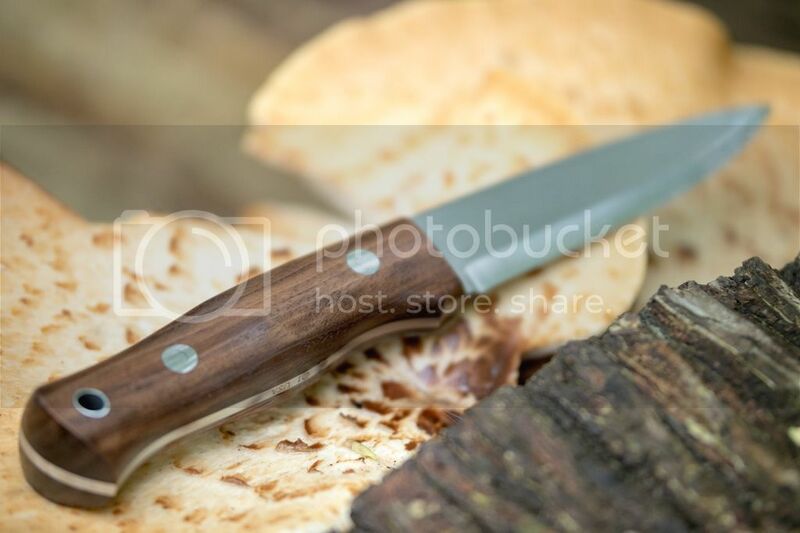 I feel like a scandi classic is a staple blade along with a woodcrafter. I have a voyageur and walker both in scandi. I feel like when you get a scandi on a 3/32 blade it preforms insanely well. I did a comparison video between and scandi and convex mountaineer. I posted it a while ago in the edged tools sub forum and it got a bit of heat from people who just didn't understand the video. What it came down to was they both performed very well but the convex out performed the scandi just by a hair in most tasks. While at the end of the day they will both cut and it doesn't really truly matter which one you have the convex is just a bit more versatile. Swadehead, beacon and Aaron600rr like this. The only benefit that I've seen from scandi is that initial bite into the wood and for splitting down wrist thick logs. I find that the convex feels like it's gliding through the wood whereas the scandi acts more like a wedge to split the wood. Different strokes for different folks. Aaron600rr, Kyle363 and blue333 like this. I love a good 3/32 - 1/8 Scandi but if I had to choose one grind for my one knife it would be a Convex. Best all around grind imho. Plus, I absolutely love stropping a nice convex grind. Something about it makes it extra therapeutic gliding up & down a strop. Swadehead, beacon and godshippy like this. Agreed. However go from a 1/8 th convex to a 5/32 convex and you get the same feeling as batoning with a 1/8th scandi. mauiarcher, Swadehead and godshippy like this. Kal.B, mauiarcher, Swadehead and 2 others like this. This is where my own blade journey has led me as well. All of my knives are convex except for my AS Classic in scandi. (N.B., I'm not counting my dedicated carving knives). Swadehead and Aaron600rr like this. Nothing like feeling some peer pressure from Aaron. Swadehead, rcwells, Chriiis.Glover and 1 other person like this. I have a 5/32 (may even be 3/16) AA Huntsman (similar to AS Guide) in convex and it blows apart billets of wood like dynamite....it doesnt slice terrible either (please forgive the double negative). For battoning wood, it is far superior for such vs my convex 1/8 Guide. Sorry to OP...I think we have derailed the thread significantly. Now back to our regularly scheduled program. I love my 01 scandi 9/64 classic. 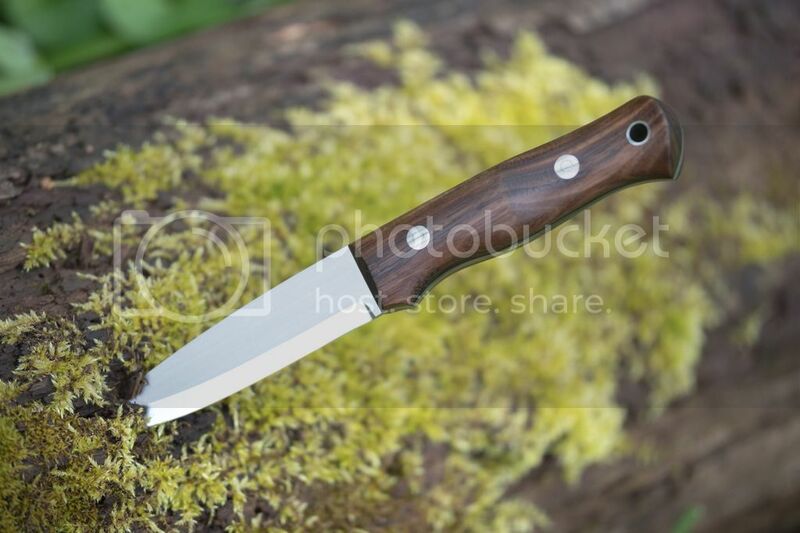 Best combo for me for that model and intended use....heavy/hard use bushcraft with a modicum of cut-ability (vs 5/32....I know I am splitting hairs). 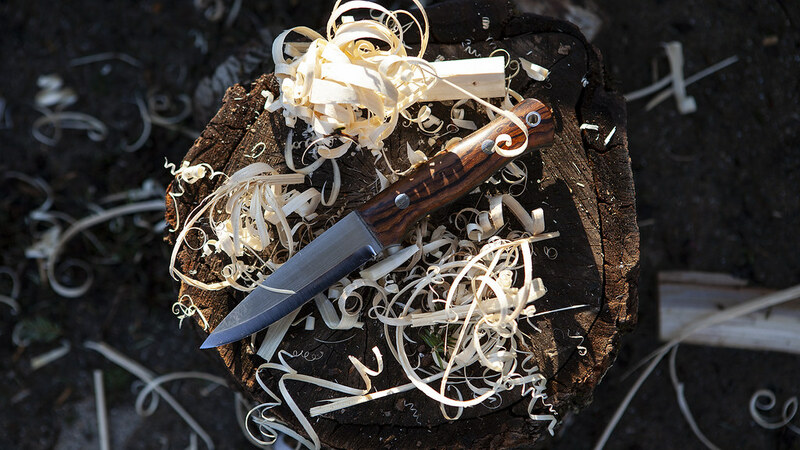 I do have a 3/32 woodlore style blade that is pretty darn special for 90+% of most tasks - is incredible for carving and slicing....admittedly the edge is susceptible to battoning hard wood albeit easy enough to bring back/repair. I had a classic and mountaineer in 9/64 scandi both were excellent. My current classic might be closer to 1/8. I don't do much battoning with my 3/32 blades. Not because I fear breaking them just because the stock is too thin to be super effective. I like to carry something like a 5/32 convex and a 3/32 scandi. Seems to me that those two together are a killer combo. Swadehead and mauiarcher like this.